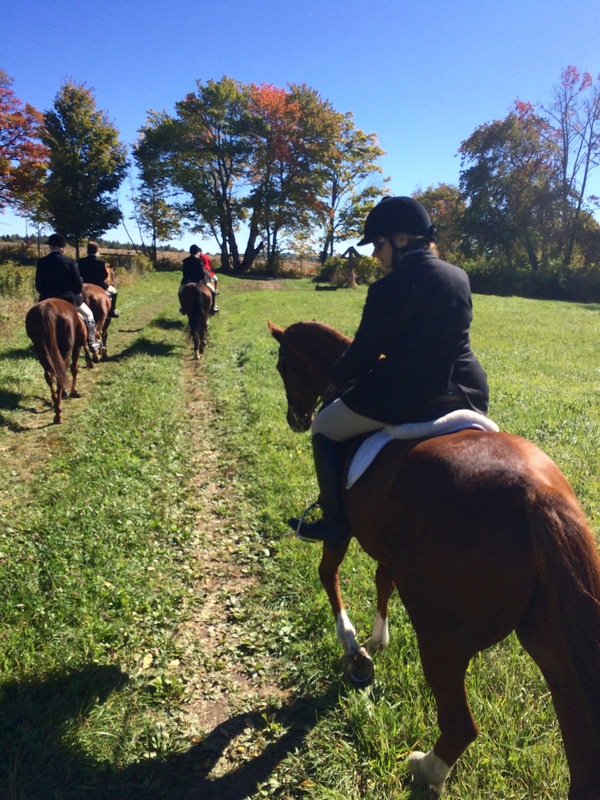 There’s no better place to watch a foxhunt than between the ears of a good hunter. 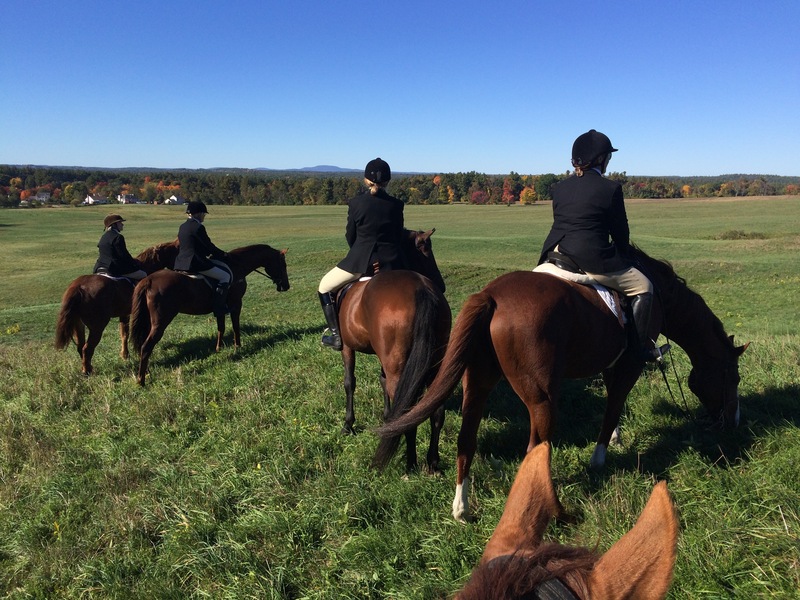 There is much to enjoy when foxhunting: the thrill of galloping across big open fields, the partnership you feel with your horse, the beauty of the territories, the fun of sharing it with your friends. 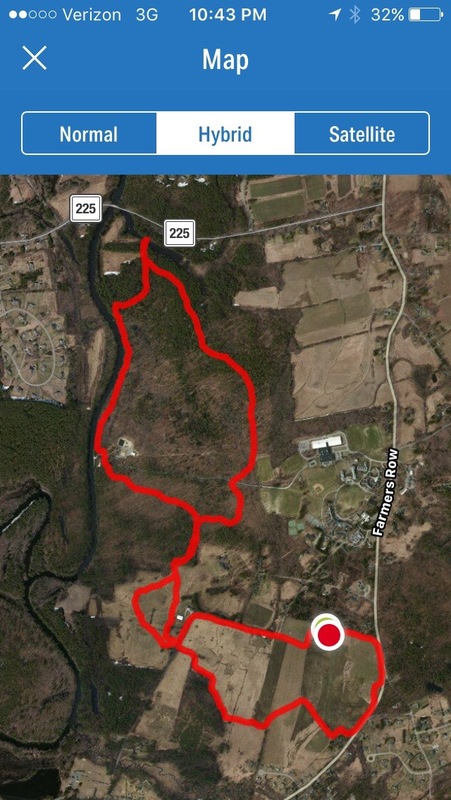 We hunted at Surrenden Farm in Groton, covering a bit more than 5 1/2 miles. And, the splendor of watching the hounds work. Watching them sort out a line, follow the scent and listening to the music of the hounds voices is a treat. I didn’t start to appreciate the hound work until I’d hunted for awhile. 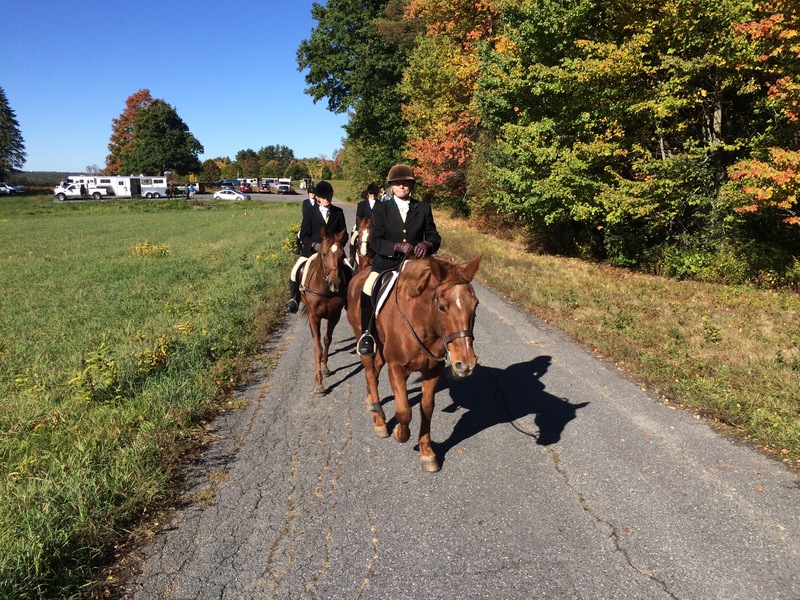 At first, staying on, keeping my horse under control, and avoiding faux pas were top of mind. The hounds were more than I could take in. To be honest, my horses started watching the hounds first. Kroni, and then Freedom, figured out that hunting is all about the hounds. They watch them like hawks. Zelda is still a bit more interested in the other horses; Freedom? he could care less. 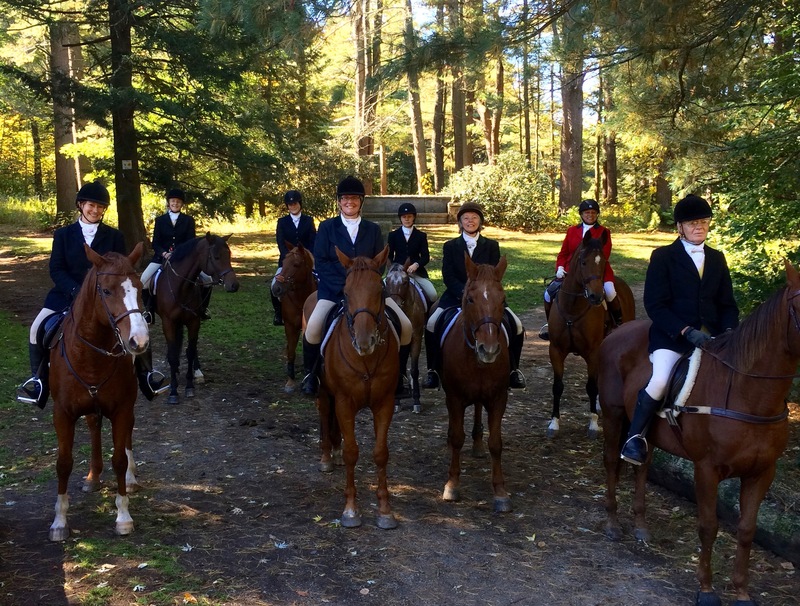 So Freedom was thrilled when we were invited to ride up with the huntsman on Monday. 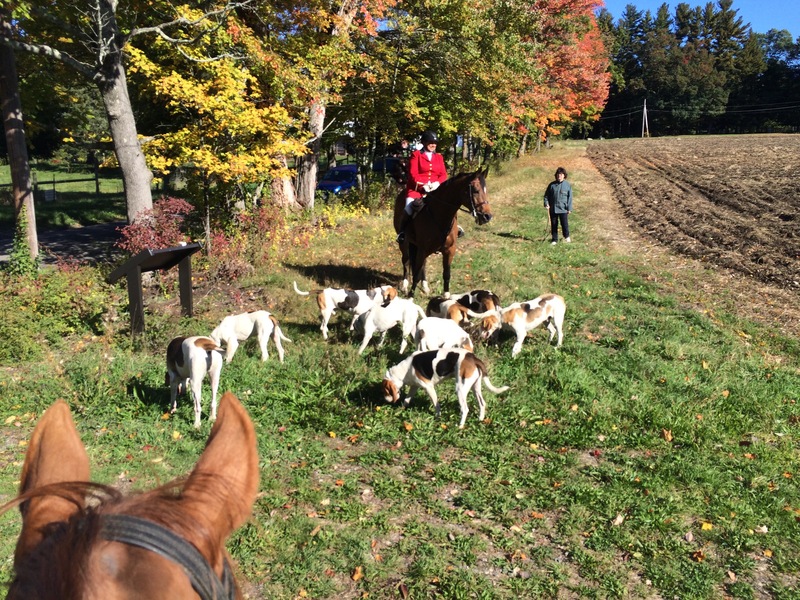 He got to follow the hounds up close and personal. There was a lot of bouncing and some enthusiastic leaps and bounds. He was determined not to miss anything. 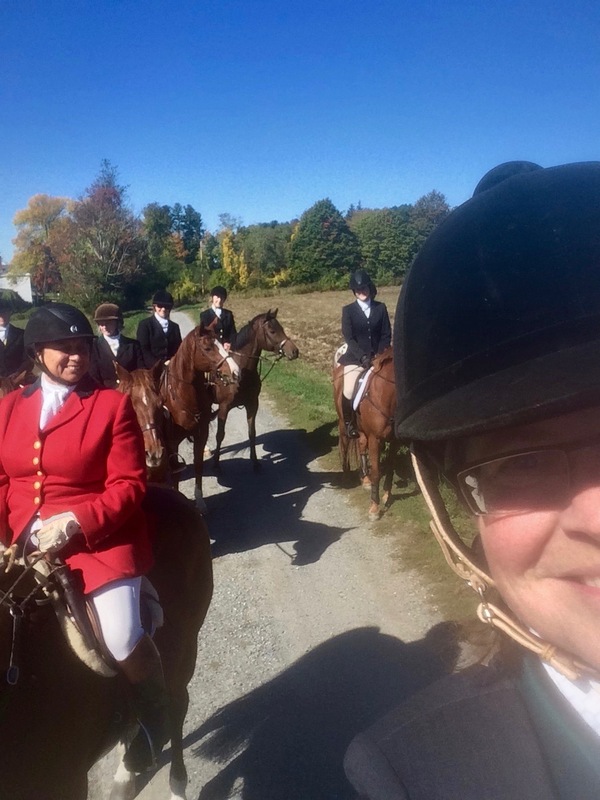 I wish that I’d had a third hand that day: there were some amazing photographs that are recorded only in my brain — open fields, fall foliage, and hound! We were moving too fast and I really needed both hands on the reins. But I did get some lovely shots before and after the main event. Hacking to the first cast. It was such a beautiful day! A little chilly at the start but we warmed up quickly. 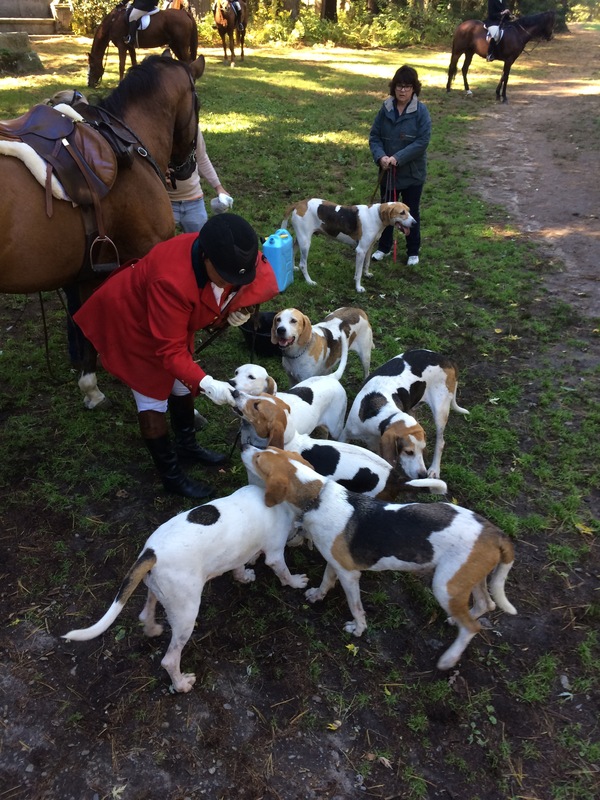 The hounds get their treats at the check. You can tell it was fun. Just look at all the smiles. Our hunt ended by this beautiful pond. 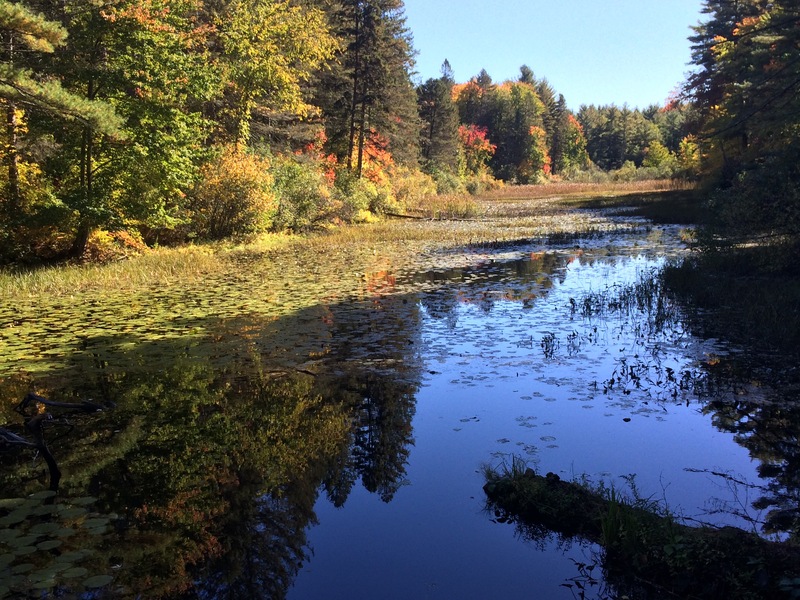 There’s nothing like New England in October! Even the hack back to the trailers was gorgeous. I can’t wait until Saturday.